I am thrilled to share my latest podcast interview with you that I recorded with Lola Houston, a transgender female that I met at last year’s Woodhull Sexual Freedom Summit in Arlington, Virginia. I absolutely LOVED attending Lola’s workshop entitled “Visibility in a Time of Peril: Come out, come out wherever you are (or not! )” One of my biggest takeaways from this session is the concept as well as realization that We Are All Sexual Freedom Fighters! Yes! How empowering and positive! In the workshop, one of the focuses was how difficult it can be to be “out” as polyamorous, and many of us have real fear around that. Newer and evolving words in our society such as “queer” and “polyamorous” require others to make interpretations about who and what we are. That can make many of us feel invisible due to a lack of definitions. When having the ability as well as the courage to live a truly authentic life, we can enjoy “visibility” in the sense of appearing as we feel, or truly showing up as we wish to be. Being out helps chip away at each of our shame little by little — and what a beautiful thing that is! Lola is very interested in a growing sense of UNITY in our society with the ability to agree to disagree (versus fight and argue senselessly). When any of us are discriminated against, we ALL suffer. Unity is our best path forward. Be a warrior in your life! Wow, Lola, so many amazing takeaways from the wisdom you shared in your workshop, and those are just a few! Keep doing the incredible and hugely important work that you are doing in the world that we need so very much, especially now. 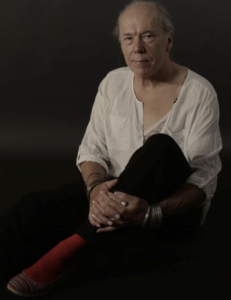 Lola Houston is a trans* female teacher, healer, guide and facilitator, who is skilled in many topics including consent, gender, touch, body image, relationships and pleasure. An anthropologist by training, she is active in multiple communities, locally and nationally, and she’s a strong advocate for visibility and unity. — What consent is and isn’t. — How is consent is understood and practiced in different communities (ENM, Polyamory, RA, Kink)? — How can these communities dig deeper into this topic, more than the 101 approaches? — When do they know it’s not working? — How do they hold community members accountable for mistakes or transgressions? Counselor, listener: As a member and leader of several local communities that span a range of flavors, I provide quiet, thoughtful counsel in relationships, sexuality, gender, play and personal growth. Learner, explorer: Curiosity is an integral part of who I am. Observing, sharing, building bridges and simple investigation open doors. 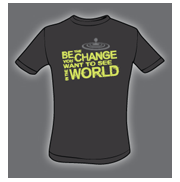 Seeking out and embracing change are key parts of who I am. Queer, Shapeshifter: I’m transgender, non-monogamous, and often seek out and play in the edges. Sexuality and gender are constellations of delight and discovery, and I believe strongly that the full expression of individuality offers a deep healing. Creator: I swim in music and dance. My approach to self-actualization involves commitment, courage and joy. Thank you Lola, for being so awesomely generous with your time, for your awesome work surrounding consent, gender, body image, and relationships, and for sharing your thoughts, wisdom and insights with us via the podcast interview! It was informative, inspirational, and so fun! Follow Lola’s work at her website, LiveATrueLife.org, on Facebook, and on Twitter @onetruelola. To hear the podcast, go to the Podcast link here and subscribe to the Loving Without Boundaries podcast, and check out Episode 76 with Lola. 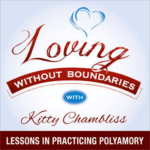 Also, please help spread awareness of alternative lifestyles and create more tolerance for consensual non-monogamy in the world at large by Rating and Reviewing the Loving Without Boundaries podcast in iTunes. It only takes a few minutes. 1) Coup/3 Goals (Chicago, Illinois) with Ruby Johnson: Friday, March 23, 2018, 7–10pm, Reunion Chicago – Just Confirmed! I am thrilled to be co-presenting with Ruby Johnson (creator of PolyDallas Millennium) at this first of its kind event! This initial workshop date is the first of a four month series focused on the various ideals of navigating one’s personal journey in relationships, and the freedom of love and happiness created in non-traditional dynamics. Click the link above to learn more, register, and see more about other events in the series! Here is the Facebook page about this event. NOTE: There is an exciting raffle for this event! There will be three gift bags filled with fun surprises from the sponsors. All proceeds go to thte cost of travel and accommodations for the presenters in this series, including yours included. Click here for details on this cool raffle! Thank you very much, mah people! 2) Namasgay (Seattle, Washington) with Frank Marci: April 20–22, 2018 — Hey spiritually-minded LGBTQ friends — big news! I was selected as a speaker for the upcoming Namasgay Summit this April 20-22 in Seattle and would love for you to join us! The Summit will feature some highly-acclaimed LGBTQ spiritual leaders that will share insights for you to start living with deeper meaning and purpose. The Summit is a gathering of soulful, positive LGBTQ people and a great opportunity to make new, life-long connections. If this sounds like something you’d be interested in, grab your seat before they fill up at www.namasgay.com/pages/summit. SPECIAL OFFER: If you use the code “KITTY” at checkout, you’ll receive 25% off registration! I hope you can join us for what will be a fun and transformative weekend! If you have any specific questions, you can direct them to Frank Macri at support@namasgay.com. 3) RelateCon (Boise, Idaho): April 27–29, 2018 — RelateCon provides a unique and supportive gathering place for polyamorous people to connect as a community through educational workshops, social spaces, and opportunities for networking. The core value of this conference is to empower healthy relationships across a myriad of configurations. I will be giving two presentations at this year’s RelateCon: “The Effects of ‘The Poly Closet’ on Metamours, Ex-metamours, and Pivot Partners” and a brand new workshop based on my “Jealousy Survival Guide.” I hope to see you there!